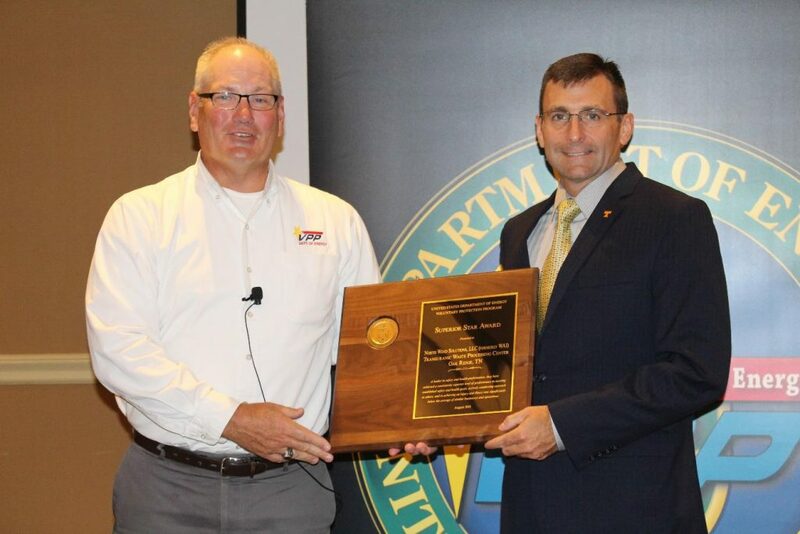 In achieving our vision for the TWPC to be recognized as the DOE’s safest and most efficient nuclear waste processing facility and to be acknowledged by the DOE and the community for our environmental excellence and as a central component of the DOE Oak Ridge Clean-Up Program, we are committed to the Tenets of the DOE VPP. Our safety policy at the TWPC is that each and every one of us integrates safety into every aspect of the way we think, work and interact because the health and well being of each person, the community and the environment is of utmost importance to all of us. It is through the implementation of our TWPC Vision and the TWPC commitment to doing work safely that we received the VPP STAR of Excellence status in August 2010. We intend to continually improve to maintain the DOE VPP STAR of Excellence while growing to a DOE VPP Superior Stars site and beyond. The DOE-VPP outlines areas where DOE contractors and subcontractors can go beyond compliance with DOE orders and OSHA standards while also “stretching for excellence.” DOE-VPP emphasizes systematic and creative approaches involving cooperative efforts of everyone in the contractor or subcontractor workforce at DOE sites, including contractor managers and workers. Requirements for DOE-VPP participation are based on comprehensive management systems, with employees actively involved in assessing, preventing, and controlling the potential health and safety hazards at their sites. DOE-VPP is designed to apply to all contractors in the DOE complex and encompasses production facilities, research and development operations, and various subcontractors and support organizations. DOE contractors are not required to apply for participation in the DOE-VPP. In keeping with OSHA’s VPP philosophy, participation is strictly voluntary. TWPC begin their journey for VPP STAR status in October 2007 by submitting an application to the DOE VPP. The Office of Worker Safety and Health Assistance conducted an initial review in March 2008 and TWPC was awarded Merit status. The Merit Program is a stepping stone for contractors who have good safety and health programs but need time and DOE guidance to reach STAR Status. In May 2009, a follow-up onsite review was conducted and TWPC was awarded VPP STAR Status. This was a great accomplishment for TWPC. Participants in the STAR Program serve as models for other members of their industry and other DOE contractors. TWPC continues our mission to improve and to strive for excellence. TWPC achieved VPP Star in 2009 and was awarded VPP Star of Excellence in 2010 and 2011. 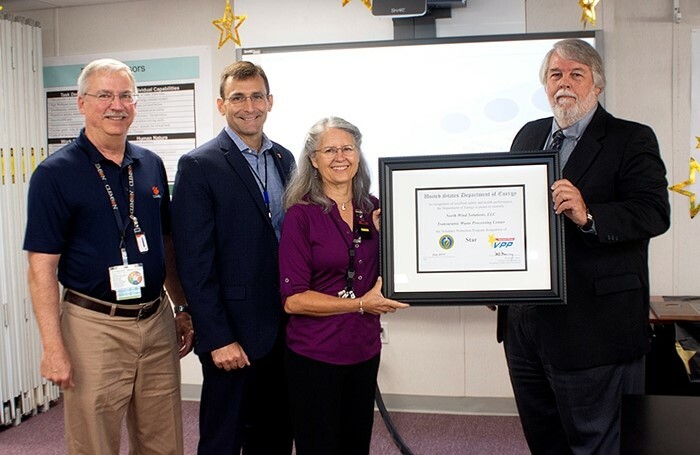 TWPC was recertified as VPP Star of Excellence Site in 2012, achieved VPP Legacy of Stars in August 2013 and continued as a VPP Star of Excellence Site in 2014 and 2015. In December 2015, the management of TWPC was transitioned to North Wind Solutions, LLC (NWSol) as the new prime contractor. NWSol was grandfathered into the VPP program and submitted a VPP application during the 2017 calendar year. A formal VPP audit was conducted in May 2018. The audit team concluded that NWSol has effectively maintained the programs and processes that have kept the TWPC a STAR site for nearly 10 years and NWSol/TWPC was awarded VPP Superior Star certification in August 2018.